DID YOU KNOW that Meredith Baxter's mother starred in the old 1960s sitcom, Hazel? Yes, Meredith is the daughter of the late Whitney Blake.who played Dorothy Baxter on Hazel. She is the youngest child and the only daughter of Blake's three children from her marriage to Tom Baxter, a Minneapolis bookstore owner. Whitney Blake, whose real name was Nancy Ann Whitney, is best remembered for her role as Dorothy Baxter, an interior designer and the wife of lawyer George Baxter (played by Don DeFore). The fact that Dorothy had a career is noteworthy because working wives were rarely seen on television shows during the early and mid-1960s (Hazel aired from 1961 until 1966). Shirley Booth, who played the Baxters' bossy maid, Hazel Burke, always referred to Dorothy as "Missiy" By the way, Bobby Buntrock, who played the Baxters' son, Harold, died in a car accident on April 7, 1974 when he was only 21 years old. From 1968 until her death, Whitney Blake was married to television writer and producer Allan Manings. She and Manings, her third husband, created the popular sitcom One Day at a Time. Whitney died of cancer of the esophagus on September 28, 2002. She was 76 years old at the time of her passing. DID YOU KNOW that Jack Nicholson appeared twice on The Andy Griffith Show? He appeared once as Mr. Garland, the father of a baby found by Opie and his friend Arnold on the steps of the courthouse in an episode entitled "Opie Finds a Baby" (Season 7, Episode 10, Airdate: November 21, 1966) and once as Marvin Jenkins in an episode called "Aunt Bee, the Juror" (Season 8, Episode 7, Airdate: October 23, 1967). Nicholson, who was born on April 22, 1937, was 29 years old and 30 years old respectively during his two appearances on the Griffith show. His first big acting break did not come until he played the role of lawyer George Hanson in the 1969 hit film Easy Rider. He received his first Academy Award nomination for his performance in Easy Rider. 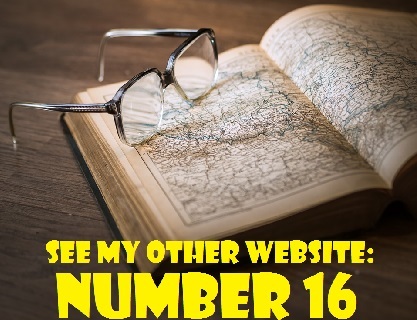 To watch a video clip of Jack Nicholson in "Aunt Bee, the Juror," click on the link below. DID YOU KNOW that Patty Duke, not Sally Field, was the first choice to play the part of Sister Bertille in The Flying Nun? Duke, however, turned down the part. Field initially rejected the role too. She felt that the show's premise, that of a Catholic nun at a Puerto Rico convent who could fly, was ridiculous. In fact, she told Jeff Jensen, a writer for Entertainment Weekly, that she "hated the whole idea." It was her stepfather, actor and stuntman Jock Mahoney, who persuaded her to accept the part. He warned her that if she didn't, she might never work again. The winglike head covering or cornette, which supposedly caused the petite Sister Bertrille to fly, was quite heavy and weighed about six pounds (2.72 kg.). In order to perform her flying stunts, Sally Field was strapped to wire contraptions. Although The Flying Nun, was disliked by critics, it was a hit with television audiences. It aired from 1967 until 1970 and 83 episodes of the series were produced. During the third and final season of the show, Sally was noticeably pregnant with her first child, Peter Craig (born 1969) from her marriage to Steven Craig. Peter Craig is now a novelist and screenwriter. 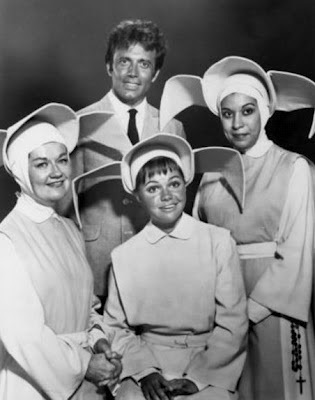 Below is a 1967 publicity photo of the cast of The Flying Nun. Pictured from left-back: Alejandro Rey, Shelley Morrison, . Front: Marge Redmond, Sally Field.